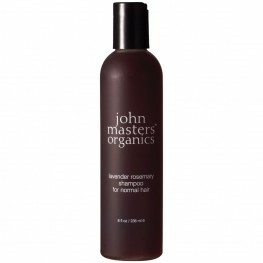 John Masters Organics Shampoo, luxury organic hair care created from the world's finest botanicals. John Masters Organics Evening Primrose Shampoo 473mlMade of pure coconut soap with herbal infus..
Made of pure coconut soap with herbal infusions of periwinkle, sage leaves, chamomile flowers a.. This mixture of herbs and organic apple cider vinegar leaves hair feeling fresh and delightful by.. The shampoo rebuilds your hair as it cleans. Using the same components found in younger hair, t..
John Masters Organics Honey & Hibiscus Reconstructing Shampoo 473mlThe shampoo rebuilds you..
John Masters Organics Lavender Rosemary Shampoo 473 mlMade of pure coconut soap with herbal infus..
Made of pure coconut soap with herbal infusions of periwinkle, sage leaves, chamomile flowers and.. This purifying shampoo optimizes scalp conditions for healthy, manageable hair. Six certified-organi..
John Masters Organics Spearmint & Meadowsweet Scalp Stimulating Shampoo 473mlThis purifying sham..
John Masters Organics Zinc & Sage Shampoo 473mlThis is the most popular John Masters Organi.. This is the most popular John Masters Organics shampoo. A combination of all-natural shampoo wi..